Mobile yard ramps are made with efficiency in mind. 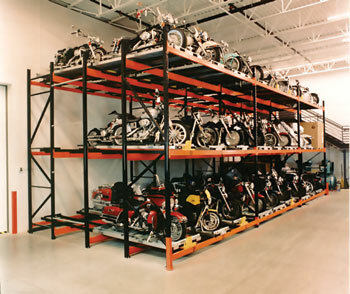 They are perfect for companies that don’t have a permanent loading dock. Mobile yard ramps offer the best, state of the art solution. One of the best benefits of mobile yard ramps is their ability to save time. How exactly can a mobile yard ramp save time? One of the obvious benefits of a mobile yard ramp is its mobility. The mobility of a mobile yard ramp saves you time because you it offers you more options. For example, you can use it almost anywhere it is needed. This is opposed to a permanent loading dock in which you would either need to use the dock where it is located or somehow transfer all of the goods to it, using up a lot of valuable time. Flexibility allows you to use the mobile yard ramp where and when it is needed. This saves time by not forcing you to cater to a specific location. You can load and unload at a location that makes the most sense from an efficiency standpoint. Mobile yard ramps also save time because they are one man operations. The operator does not need to use pallet jacks or need the assistance of other workers. This saves time from a personnel standpoint. The employees who would normally be assisting with the loading and unloading process can work on other projects while the mobile hand ramp is operated single-handedly. The 2 speed manual crank system and 4 iron core poly wheels allows the operator to easily adjust and move the ramp. Our mobile yard ramps are made from heavy duty carbon steel, ensuring that it will provide you with years of service. The 2 speed manual crank system also means that you won’t have to worry about the commonly used hydraulic system in other brands. Hydraulic failure is one of the more common issues with yard ramps. So how does this durability save you time? You won’t need to attempt to repair or replace it. Repairing a mobile yard ramp could be tricky business and is often best left to the manufacturer. That means contacting them and getting them out to your business. The whole process takes away valuable time that could be spent loading and unloading. With a mobile yard ramp that is durable, you won’t have these wasted downtimes.